Use the services of skilled and highly experienced movers. Pay excellent rates for reliable moving services. Our team can help you to move A to B anywhere in London. Relocate your office without the usual hassle. Excellent offers for moving services. The rates are highly flexible and calculated in accordance to the job. You cannot find more versatile and wholesome offers for moving in the capitol. Fast and family friendly - best way to move your house in London. Remove the hassle from moving to another country with our team. Handle domestic, commercial and construction waste with ease. Hire us to pack your belongings and ensure safe transportation of the items. Hello and welcome to Removals 24/7. If you are looking for a reliable and cost efficient solution to an upcoming relocation project, then we are the right people for you. 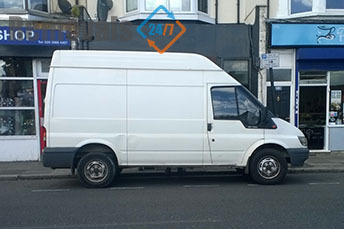 Our movers are dedicated professionals who are dedicated to one thing only – providing you with the ultimate moving service in London, while at the same time guaranteeing your comfort and peace of mind throughout the process. We are very well equipped and ready to handle jobs big and small for you. 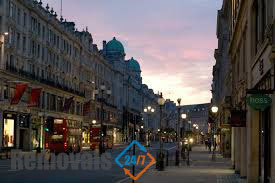 We will consider the individual requirements of the relocation in London you approach us for help with and then tailor an individual plan for the job that is going to cover your needs and personal preferences efficiently and without any stress or hassle. Our movers are fully licensed and insured, and which is of no lesser importance – they know perfectly well what they are doing in every situation. There is no need to say that we are going to see that you receive a service that is going to guarantee your comfort and peace of mind throughout the duration of your moving day. For starters, we are no strangers to same-day booking. If your move is somewhat of an emergency, it would be our moving helpers and technicians who are going to stand by your side and show up to do the job exactly when you want it to. All moving services in London that we offer come with Goods in Transit Insurance. Removals across London have never been easier so get in touch with us now and make a reservation. We will take care of all the details for you. Get a free quote today by contacting our helpful around the clock customer support today. We are looking forward to being at your service at any time. Fill out our easy to use online contact form and see exactly how competitive our prices truly are. You will be happy with the number you are going to get. We offer full coverage of all 32 London Boroughs. The capital is generally dived into two distinct areas – North London and South London. Both have some pretty great places to live in within their respective territories. Wimbledon, Chelsea, Camden, Lambeth and Greenwich are traditionally though to be the best residential areas of London. Popular tourist attractions include The London Bridge, which is the third bridge to stand in the current location, The Tower of London, Big Ben and many more. London School of Economics and University College London are traditionally thought to be among the most prestigious further education institutions in today’s London. Our company employs an entire team of dedicated customer support specialists ready to help you with pro advice. We try to be as flexible as possible, fitting the services to match the requirement of our clients 100%. All movers working for us have are licensed experts and our services have full Goods In Transit insurance. I was really worried about moving my company's office. We're a small IT business and long downtimes are not something we can afford. I'm really thankful the movers handled the ordeal outside work hours.